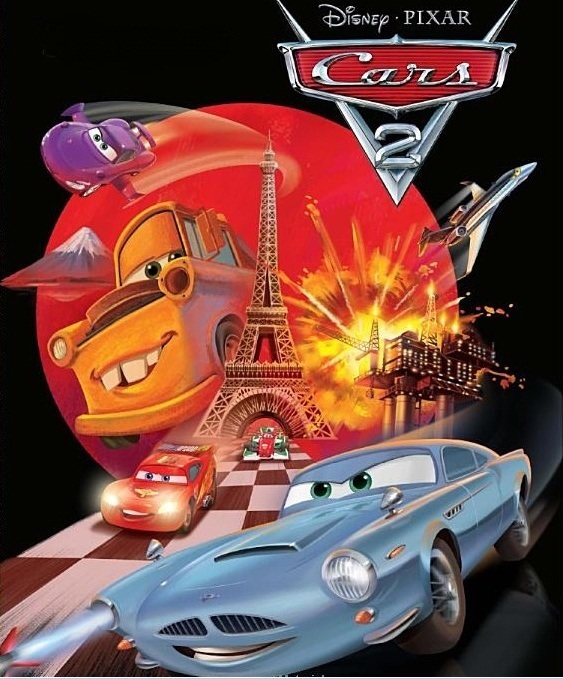 Cars 2 Book Cover. . Wallpaper and background images in the Disney Pixar Cars 2 club tagged: cars 2 cars mater lightning mcqueen holley shiftwell finn mcmissile. This Disney Pixar Cars 2 photo contains anime, comic book, manga, and cartoon.